"Binova Chemical group" sends loads to its customers in railway containers, in postal-baggage car, by motor transport, by plane. We solve all the problems in connection with the delivery of your order from 1 bag up to 20’ container. Bringing container to the station, loading and unloading, insurance etc. 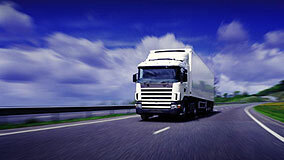 are paid by the customer according to tariffs of forwarding company. The cost of chemicals delivery by other transport means depends on the weight, dimensions and the distance. In order to calculate the cost of goods delivery – please send us a request with the remark CALCULATE THE DELIVERY, pointing out the place of destination. We will define the dimensions and the weight of the load and will calculate the cost of delivery.